We spent the last holiday on a very sulit day trip to Tanay Rizal. 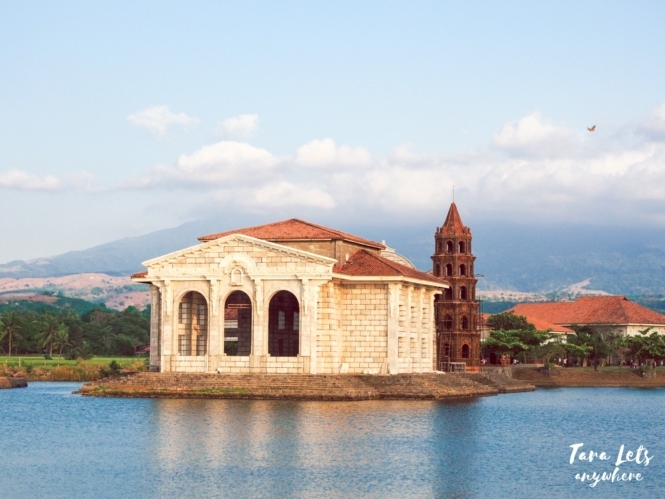 Tanay is just a few-hour drive from Manila. It was very laid back and fun. 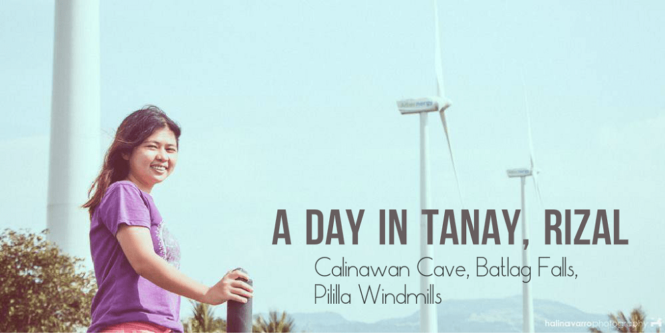 We started the day spelunking in Calinawan cave, visiting Daranak Falls and Batlag Falls and ended the afternoon visiting the recently constructed windmills in the very windy area of Barangay Halayhayin. This Tanay Rizal day tour only costed us P650 each, excluding lunch. While I was browsing my Facebook groups, I came across someone organizing a holiday day tour in Tanay, Rizal. I urged Hali that we go and immediately reserved slots. Hali and I, as well as other companions that day and our tour organizer Kuya Jake (none of whom I knew in real life, this is how travel goes apparently), met up in Cubao at 6:00AM. We drove for about 3 hours to Tanay, Rizal. Even though I was asleep at times, I very much enjoyed the ride because we cruised along high mountains and, on the way to the cave, on a long rough road with densely grown trees and plants on both sides. 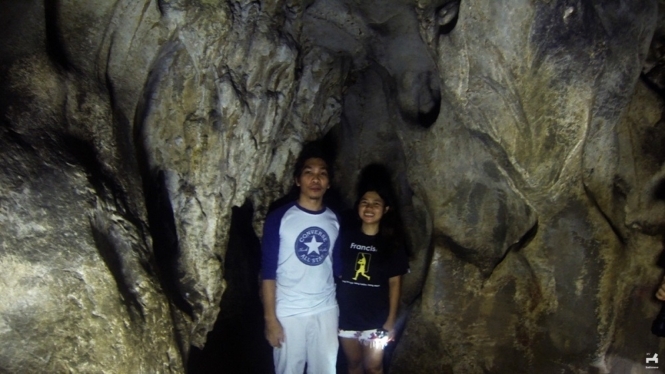 The tour to Calinawan cave takes only an hour or less. It’s not a strenuous activity, and guests aren’t expected to crawl (up to cave level 2 at least) or do something extreme such as tread across waist-length water to get across. You just have to be careful walking because it is dark inside and watch your head at times. The local guide, Kuya Adam, gave us an entertaining and educational background of this nature preserve. Apparently this is where the Filipinos and Americans agreed to join arms to end the Spanish rule (a sham, but this is not the place or time for an in-depth historical discussion). Kuya Adam also explained the difference between stalactites and stalagmites and how these are formed. We also saw fruit bats and the holes they make in the ceilings. I think I’m missing something here. How are they drilling/punching these holes? 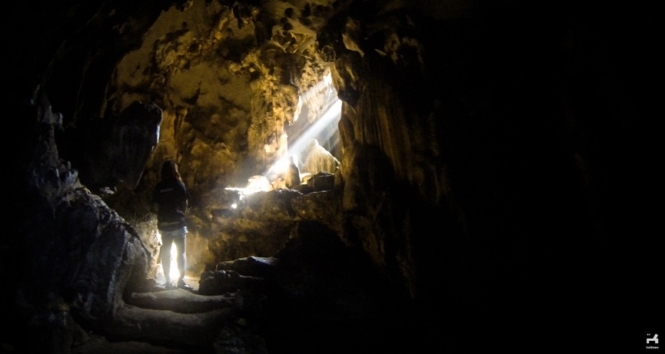 It was nice to see that Calinawan cave is being preserved by a local organization. Sadly, before this was set up, some network and production companies filmed here and irresponsibly left silver glitters and fake stalactites. 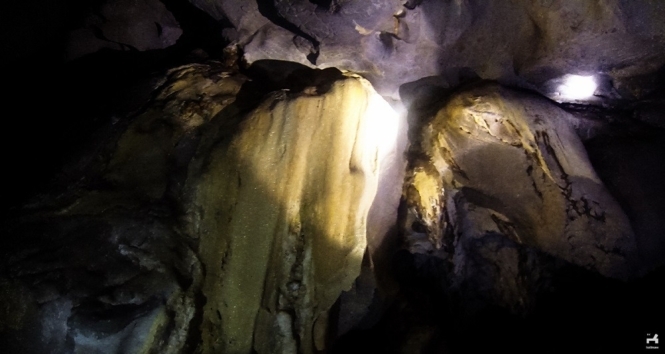 The rest of the cave remained intact, with minerals still able to produce new cave formations, which will take thousands of years to be completed. We only explored levels 1 and 2. Levels 3-5 are open during summer and are more difficult, with some parts requiring the guest to crawl and such. Levels 6-7 are permanently inaccessible, from when the tunnels were bombed by Japanese soldiers. 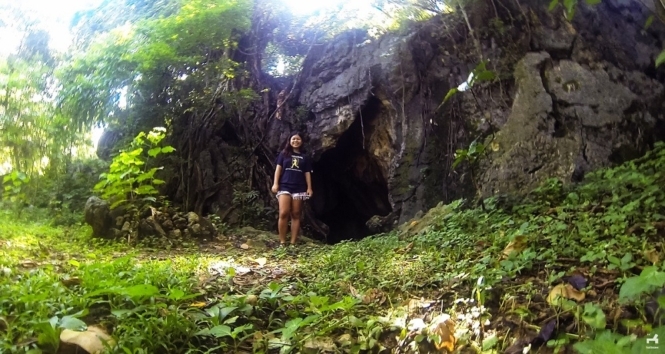 Once upon a time though, one can go through this tunnels and travel for 9 days to go to Montalban, Rizal! What an underground adventure that must be like. Reminder: Bring a headlight or flashlight. The local guide has a spare one but best be sure especially if you’re a group. 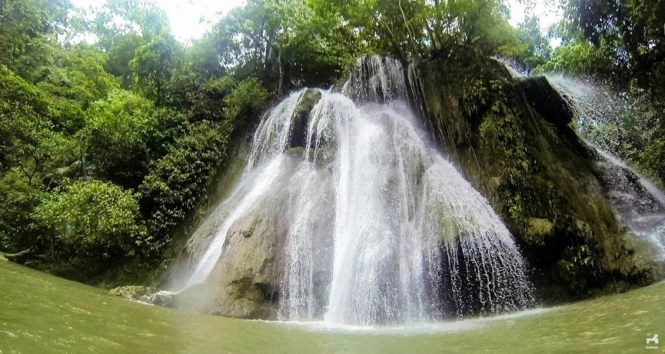 Our next stop for this Tanay Rizal day tour are these two sister falls. 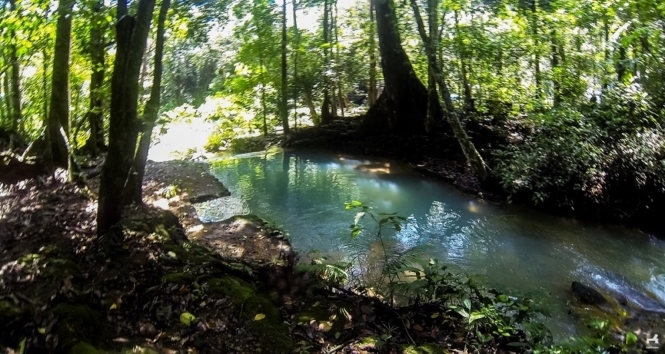 Not far from Calinawan cave are the twin attractions Daranak and Batlag falls. At the time of our visit, there was a large volume of water streaming from Daranak falls and it was almost picture perfect with its aqua-blue basin, but one look at the crowd and we decided we were better off in the more secluded Batlag falls just a short trek away. There are only picnic tables in Batlag falls and none of the man-made facilities such as stores in Daranak falls. 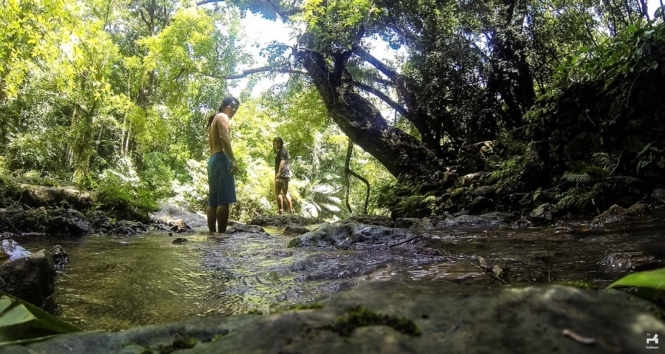 Batlag falls is a refresher from the September heat but isn’t a place for regular swimming. Similar with other falls, the stones around were smooth and slippery. 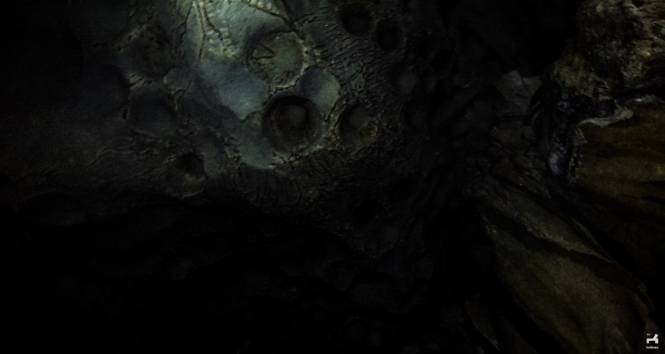 The ground underneath was uneven and hid rocks of different sizes. It’s best to wear aqua shoes or trekking sandals rather than ordinary slippers or going barefoot. We went astray from the main falls and followed the water trail down south and then on a parallel northward direction from Batlag falls. There was nobody else with us, and the water on those parts seemed undisturbed. There were water insects and cobwebs. There were flying insects that might have been butterflies or dragonflies (it was difficult to tell since the wings were bigger and vividly colored). We also found a pool, with corners too precise to be natural, but just like the other small pools and mini-falls, it too seemed abandoned. After several minutes of trudging across undisturbed waters, we clambered up a high slope and went back to the familiar noise of people bathing in the main falls. We intended to stay until late in Batlag falls, but after a short discussion we agreed to visit the new Tanay windmill in Rizal as well. There was no entrance fee to the windmills, but we were asked to give a donation. 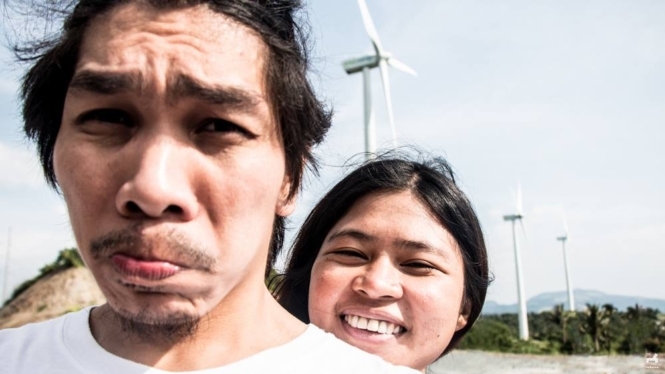 It isn’t surprising that Pililla windmills haven’t reached the ears of tourists yet. The Pililla windmills were a recent construction and only began operating summer of this year. There was nothing to do here but relax, check out the windmills and feel the strong winds brush (in my case, terrifically blow dry) your hair. There was also a full view of the Laguna de Bay and, on the nearby hills, of tall grasses with white seed heads swaying with the wind. It was a perfect way to end our day trip. Ever since I posted this, I’d received tons of inquiries. I’m writing this section as an update, so you can also plan your own Tanay Rizal day tour. I think it’s best to get a van or a private car to these destinations because of (1) convenience during transfer and (2) difficulty to hire a tricycle that will agree to take you to Calinawan Cave and the falls and then to Pililla Windmills. 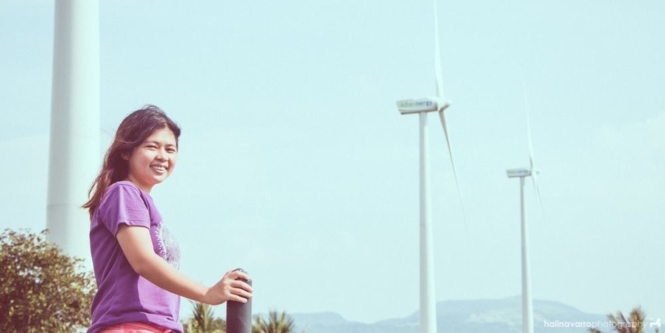 Technically, the wind farm is not in Tanay but in — you guessed it — Pililla municipality, so it’s quite far. Ride a van in EDSA Shaw Boulevard bound for Tanay, Rizal. In the public market or supermarket, charter a tricycle to take you on tour to Calinawan Cave and the falls. Price depends on your haggling skills, but to be safe prepare as much as P400. From Daranak Falls, you can hire another tricycle to take you to the wind farm in Pililla. If you prefer a convenient day tour, you can find a lot of Tanay Rizal tour packages in Facebook. Make sure to make an inquiry or reservation at Calinawan Cave first. Check out the contact section below. 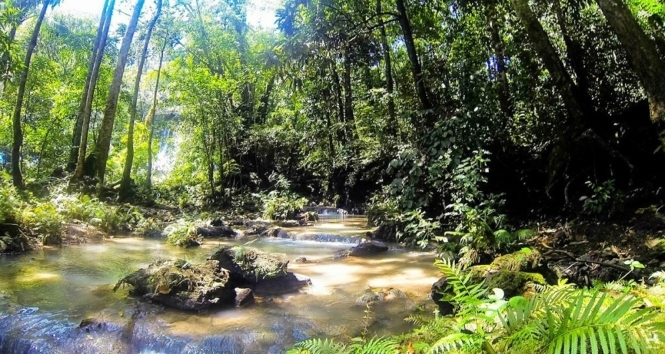 Daranak Falls and Batlag Falls are managed by separate groups. 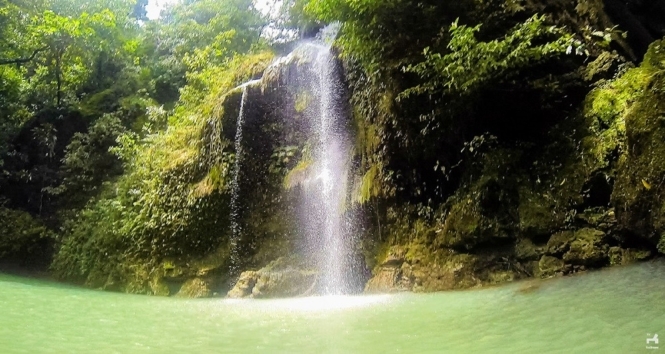 Daranak Falls is a government-owned park, while Batlag Falls is privately owned by a family in Rizal. You have to pass through Daranak Falls to get to Batlag Falls, which means you have to pay both entrance fees to get to Batlag Falls. 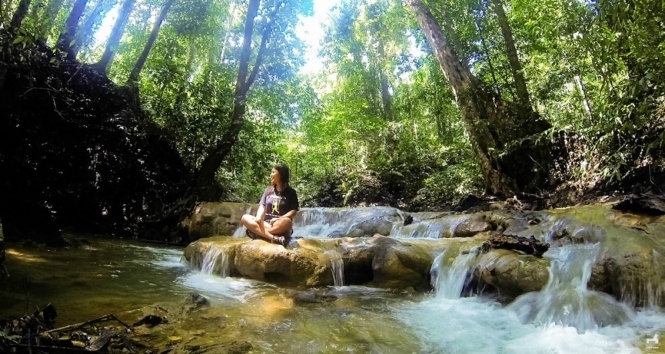 Daranak Falls can get noisy and crowded especially during summer and on holidays and weekends, but it also has more amenities: a store, a canteen and restroom areas. If you didn’t bring any packed lunch you can buy your meal in the canteen for affordable prices, though the options are limited. After our stay in Batlag Falls, we went back up to the restroom area in the Daranak Falls park to wash up. In fairness, the cubicles were clean and, it seemed, regularly maintained. It’s best to go to Batlag Falls if you want a more secluded stay with nature. There are picnic tables available where you can store your bags, though I’ve read some people just placing their bags underneath trees to save expenses. Here’s some contact information for planning your own Tanay Rizal day tour, for reference. 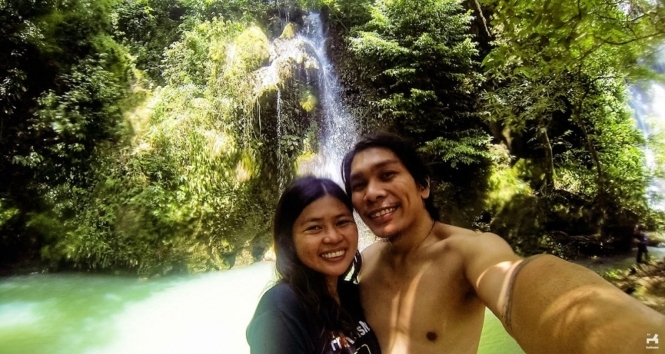 Has this short guide on Tanay Rizal day tour been helpful? Please post your comments below! Can we have an overnight stay in daranak falls using tent? There are so many places to go to Rizal yet I haven’t really explored that part of the country yet. I would love to check out Daranak falls, I heard so much about it. I didnt know that Tanay has this windmill. I love it! great info. I love windmills not because of it’s structure but of it’s use and purpose. I fell in love the windmills in Ilocos when I visited the place 7 years ago. I’m from Taguig which is technically close to Rizal, so I’m still wondering why I haven’t explored that area yet. But based on your photos and adventure, I really need to do a visit soon! Look at all those wonderful activities! Hello, i’m from Marikina. It’s already the rainy season, can these places still be visited in such a weather? Thank you! Is it ok to bring a 8yr old child doing these adventures? Hi, can we directly go to batlag falls without passing by daranak falls? thank you. Hi, Michelle. As far as I know you really have to pass by Daranak falls first. is there any group packages for this?